This is the new no age-statement single malt released by Nikka on 1 September 2015 as a result of the radical restructuring of their whisky portfolio due to drastically depleted stocks. 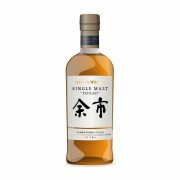 This bottling has replaced the entire Yoichi core range, i.e. the 10-, 12-, 15- and 20-year old expressions. (Nikka’s other distillery, Miyagikyo, faces exactly the same situation.) This review refers to a 500ml bottle that I picked up while on holiday in Japan. The nose is quite light and thin. Flavours of honey, grapefruits and lemons come to the fore, together with a touch of balsamic vinegar. I also got notes of nuts and cereal. Hmm, where is the peat? The palate is light-bodied and smooth. Now there are oranges and more lemons, mingling with soft wood spice and more nuts. At the end I detected a whiff of menthol. The finish is of medium length and pleasantly mouth watering. Lemon and nuts flavours are back, together with some menthol at the very end. This reminded me of the Nick Offerman sketch “That's not Lagavulin!”. Never, ever would I detect this as a Yoichi in a blind tasting. Where has the subtle peat smoke gone, where are the adorable cinnamon and rubber flavours? This is not Yoichi! I give Nikka credit for bottling this at 45% ABV, and if it were not for the rather thin nose I would actually call this a pleasant single malt as both palate and finish were quite nice. Time will tell whether Nikka will be successful with this new standard expression – unfortunately, this does not really work for me. 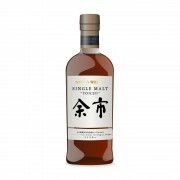 Nikka Yoichi Single Malt Sweet Japanese to please and tease. I share your view, @MaltActivist. At least Nikka were honest enough to inform the larger public about the state of their whisky stocks. As for Suntory... I was at Yamazaki distillery in October and the 18-year old was not available for sale (and the 12-year old was "strictly 1 bottle per custoer")! But when I asked I did not get any specific reply as to the state of things. Very disappointing, when everybody knows that their stocks must be super low by now.